Did you pay too much for your mortgage on your home? If you don’t know the answer then you probably did. The majority of Canadians and Americans don’t shop around for a mortgage when they purchase a home. They often take the rate that is offered by the bank that they deal with. They pay whatever rate is offered to them. At the very least they should negotiate and try for a better rate. They should really shop around to either confirm that the bank is offering the best rate. They can use this information as a negotiating tool to get a better interest rate for their mortgage. This post is about Mortgage mistakes nearly half of borrowers make. Most consumers do not realize just how much money they can save. In fact shaving half percent off the cost of your mortgage can save over $25,000 over the lifetime of the mortgage. Consumers will put a lot of thought into the choice of their home, the decoration, and the landscaping. But when it comes to go negotiating a mortgage and going through the mortgage process they find it very intimidating. if you have a good to excellent credit rating, can put at least 20% down as a down payment on your home, your chances of negotiating a better interest rate on your mortgage are very high. For example if a borrower accepts a 4.5% interest-rate instead of a 4% interest-rate on an average home the costs approximately 321,000 with a down payment of 20% on a 30 year fixed rate mortgage loan they’re going to pay $212,000 in interest. 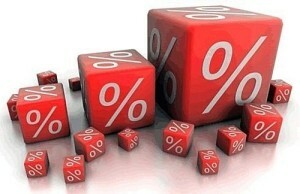 however if they are able to negotiate a 4% interest-rate they will save over $27,000 over the life of their mortgage. This is a substantial sum of money that most people really cannot afford to lose however many are doing it every day without even knowing it. Always shop around for a mortgage and always try to negotiate a better rate. The worst that can happen is that it confirms the rate that is being offered to you by your bank and the best that can happen is that you get a better interest-rate saving you thousands of dollars. Our previous reader asked a number of questions about whether they should take advantage of an offer from a family member who is offering them a private mortgage loan. 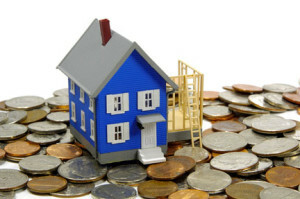 There are lots of advantages about taking advantage of a private loan or private mortgage. However there are also lots of disadvantages as well. It really depends on the individuals that are involved and whether there is a desire to make it work, whether both parties are being honest with each other and whether both parties have the same understanding about payments, terms and interest rates. Since the loan is private, many people do not document all of the assumptions and agreements very well and this is where the misunderstandings start, which can lead to bad family relations in the short term and sometimes in the long term as well. 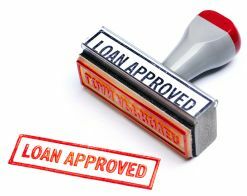 We have compiled a few of the things that are must do’s when agreeing to a family loan or a private mortgage loan. The more you follow these guidelines, the less chance there will be that you will run into trouble, however there always seems to be a way to make a mess with things and consumers seem to be adept at this. We received a question about private mortgage loans from a reader and will answer his questions in our next post. We have an opportunity to borrow some money from a family member to use as a private mortgage loan and we are wondering if we should go ahead and take advantage of the offer. The interest rate is very good and of course we do not need to qualify or show our credit rating. The family member wants to help us purchase our first home and is willing to act as the mortgage holder and provide us the funds. Should we go ahead with this offer? Do you currently have a mortgage? :: No, this is a first time home purchase for us and we are really excited. Are you employed and for how long:: Just started a new job after graduating from university.